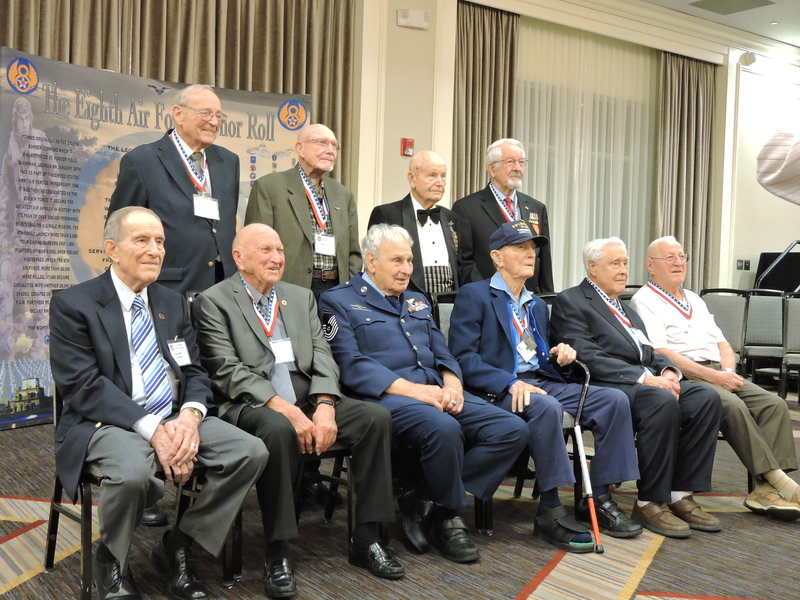 I have just returned from the 2016 Eighth Air Force Reunion in St. Louis, Missouri. 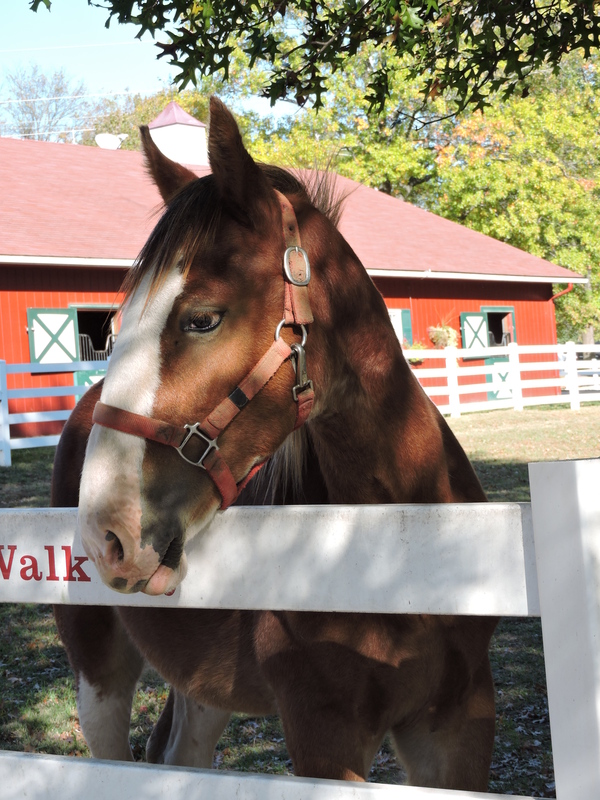 The first day of the reunion, the group had the option to take a Military Heritage tour which included a tour of the Missouri Civil War Museum and a driving tour of the Jefferson Barracks National Cemetery. 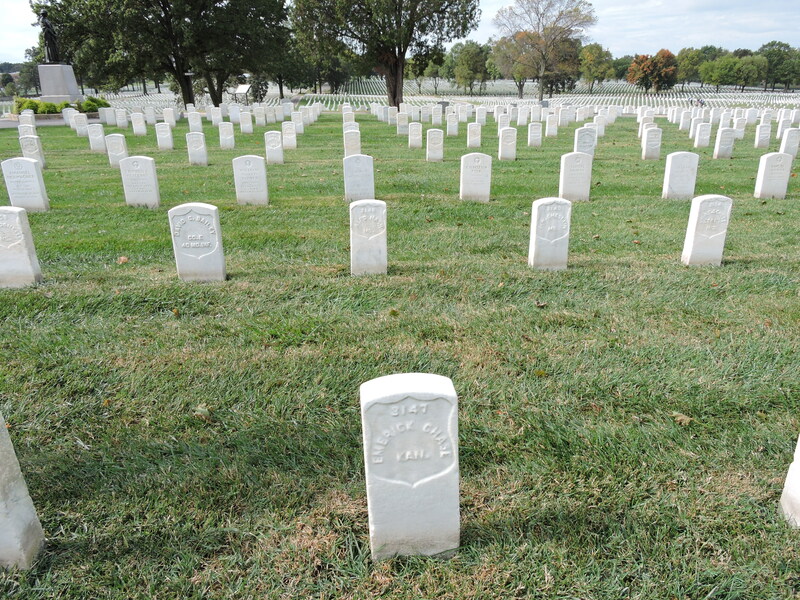 I chose to tour the Jefferson Barracks National Cemetery on my own with my husband, Bill Bryan, and fellow 384th NexGen, Keith Ellefson. 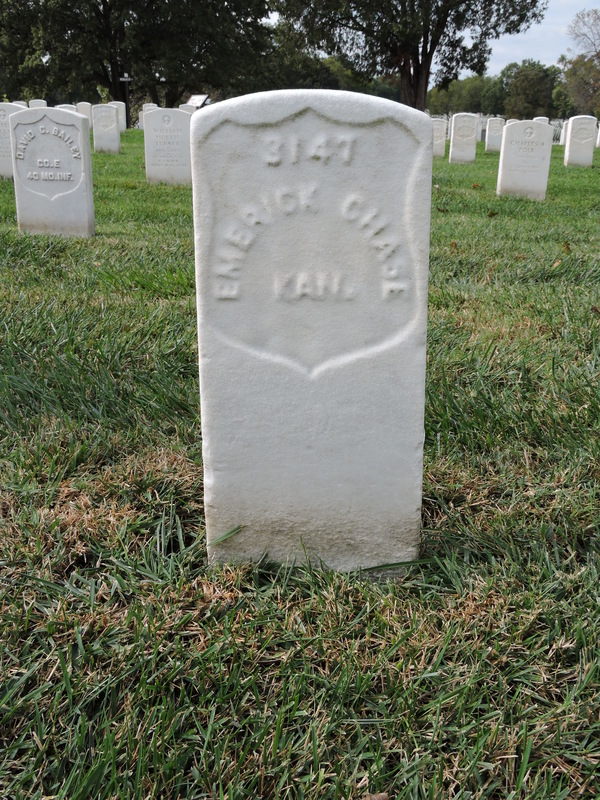 My great-great-grandfather, who died in the Civil War, is buried there and I set out to find his grave. That evening, dinner was served to each Bomb/Fighter Group separately in their hospitality suites. 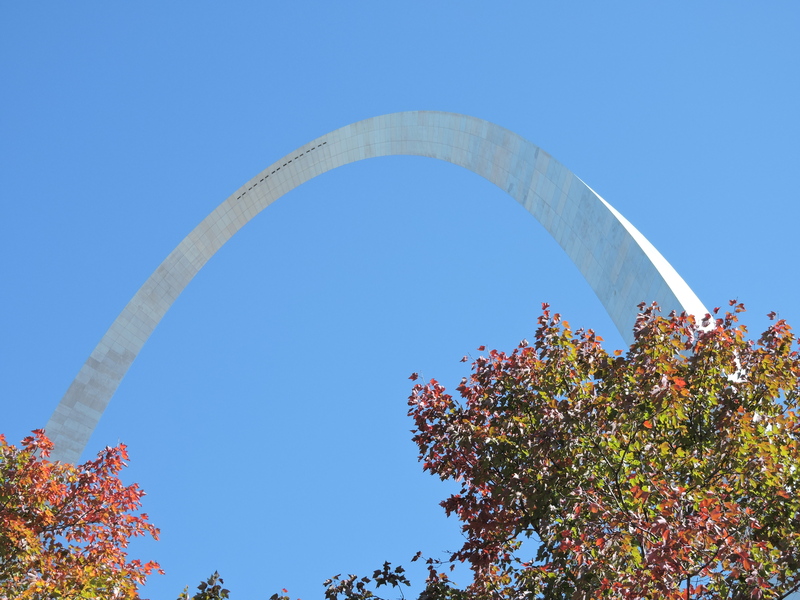 The second day of the reunion, the group had the option to take a Gateway to St. Louis City Tour. 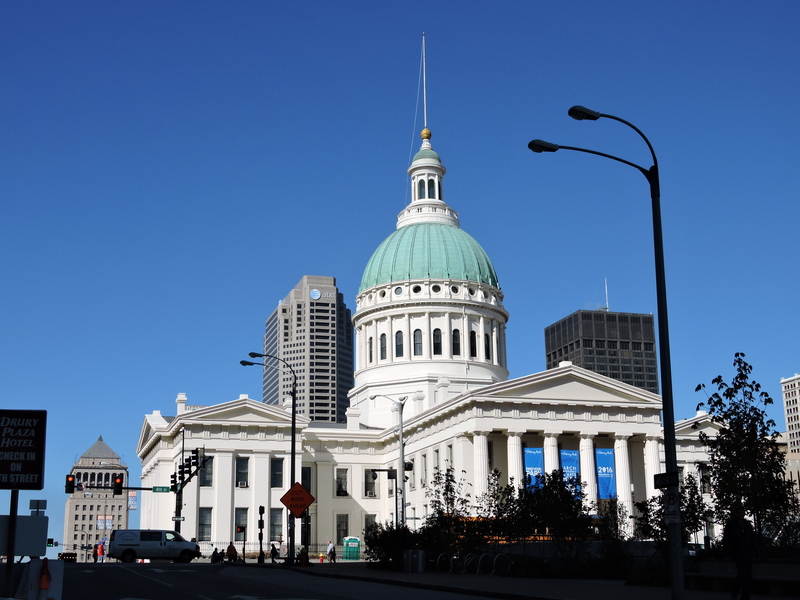 Again, my husband, Keith Ellefson, and I opted to strike out on our own and drive into St. Louis to visit the Old Courthouse and take a ride to the top of the Gateway Arch. The presentation for the second night’s dinner was given by Dr. Donald L. Miller, author of “Masters of the Air.” After dinner, Dr. Miller was kind enough to autograph my copy of his book. 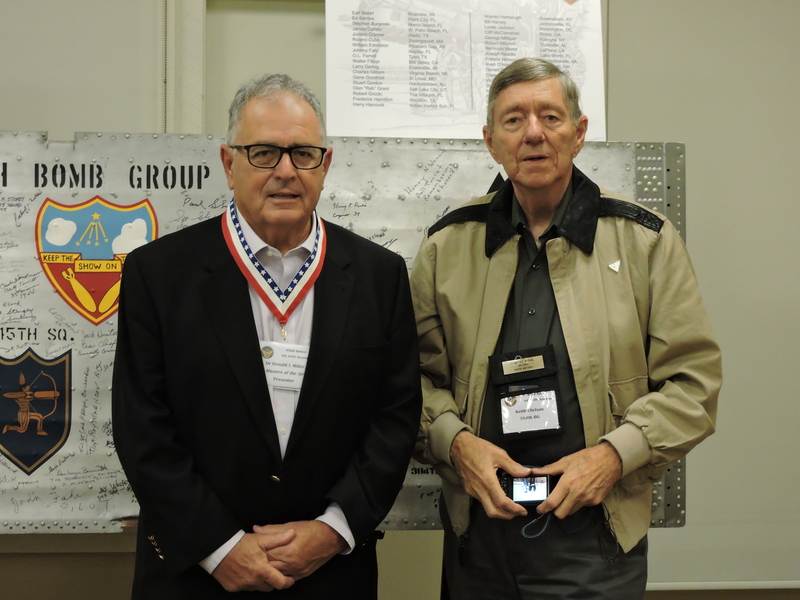 At the end of the evening he stopped by the 384th’s hospitality suite to see our wing panel. 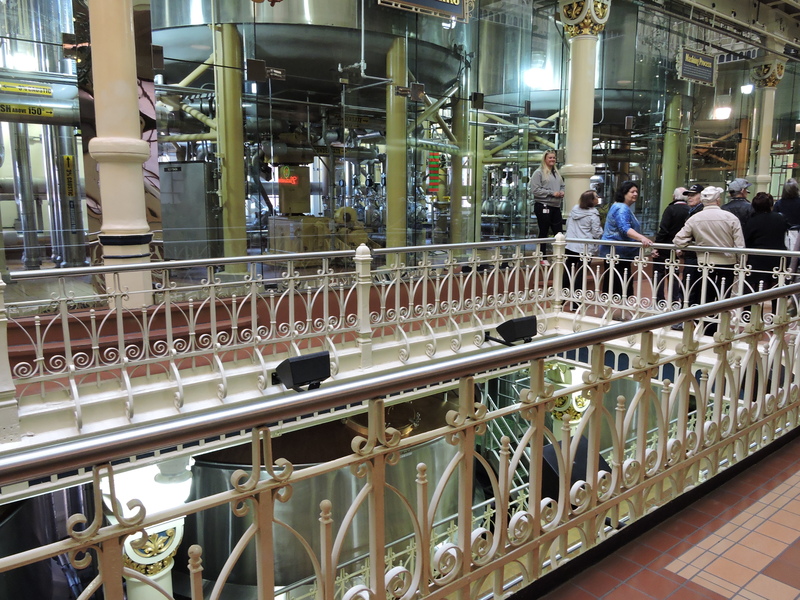 The third and final day of the reunion, my husband and I opted to take the Anheuser-Busch Brewery/Grant’s Farm tour with the group. The last evening’s dinner was the Gala Dinner. 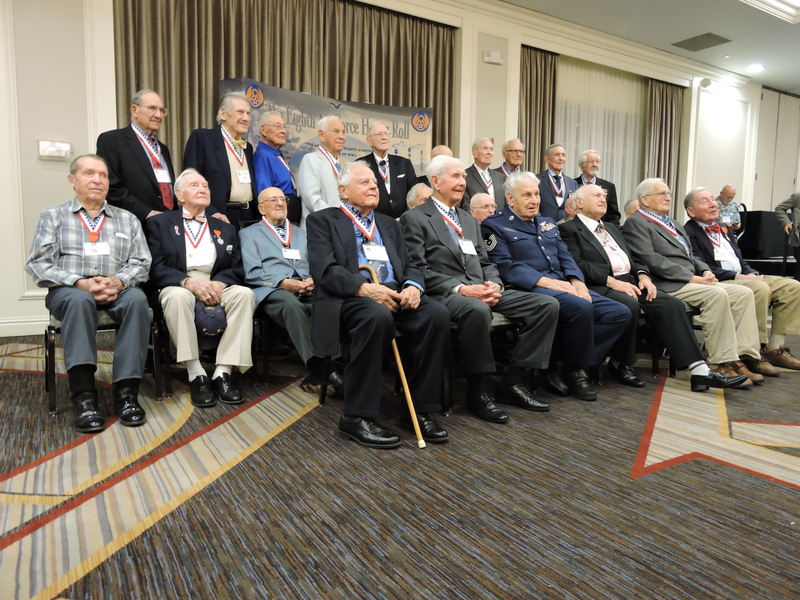 It was the last opportunity of the reunion to spend time with and personally thank the men who won our country’s freedom in WWII. 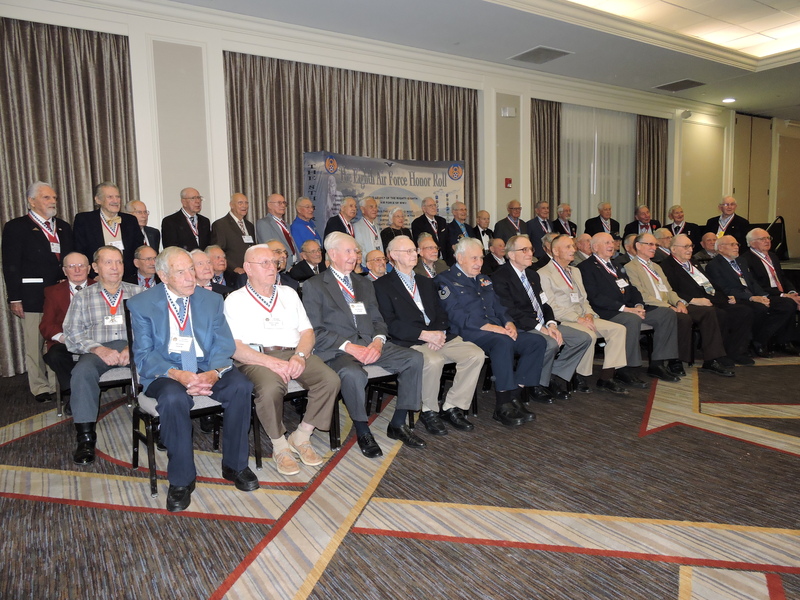 2016 8th AF Reunion Gala Dinner. 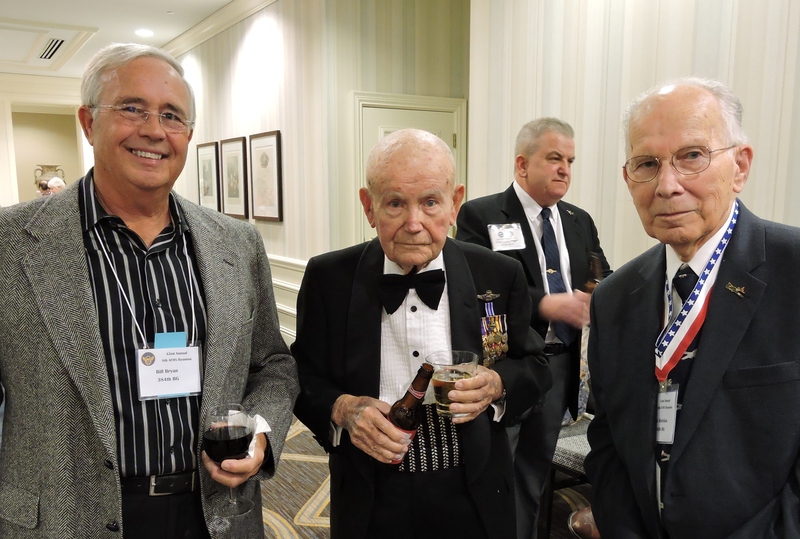 Mark your calendars for the last week of October 2017 for next year’s 8th Air Force Reunion in New Orleans! 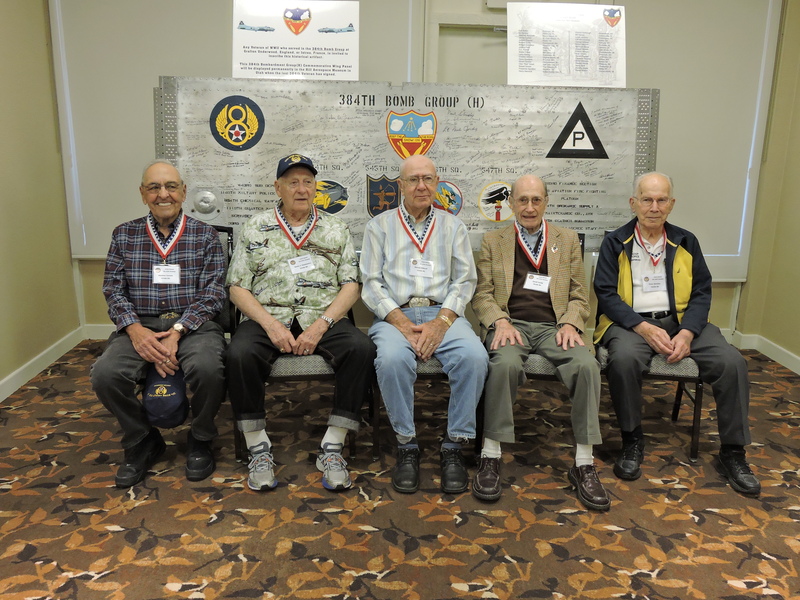 By thearrowheadclub in 384th Bomb Group on October 26, 2016 .